PROPOSALS to change the law in Northern Ireland are being put through Stormont in the hope that future races will be able to be rescheduled instead of cancelled if the weather turns nasty. 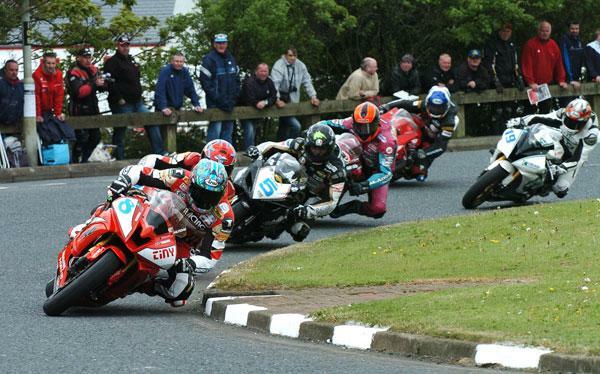 Two of the last three Northwest 200s have been cancelled due to rain, and the time associated with getting permission to close roads for racing mean it’s been impossible to simply postpone the event to the next day. The new proposals will change that and make it possible to push events back to another day if they’re hit by poor weather. Now, in a refreshing change to usual government delays and red tape, there are hopes that new legislation can be passed in time for next year’s race season. Regional Development Minister Danny Kennedy has asked for the proposed changes – which are widely supported in Stormont – to be fast-tracked so the 2014 road race season can benefit from them.